While the new season started with a bang in Germany with more than 160 riders on the start line. However, there was some bad news announced at this first round with the cancellation of the GP of Corsica following the recent health problems of the President of Racing Moto Club Corsica, Laurent PERALDI, to whom we wish a speedy recovery. But, ten days after this setback, Bastien & Alain BLANCHARD of ABC Communication, with the support of the FIM, managed the challenge of replacing this event on the same dates! So we head to Serres in Greece, a city well known to Enduro fans where Ivan CERVANTES (E) won his first ever title in 2005. 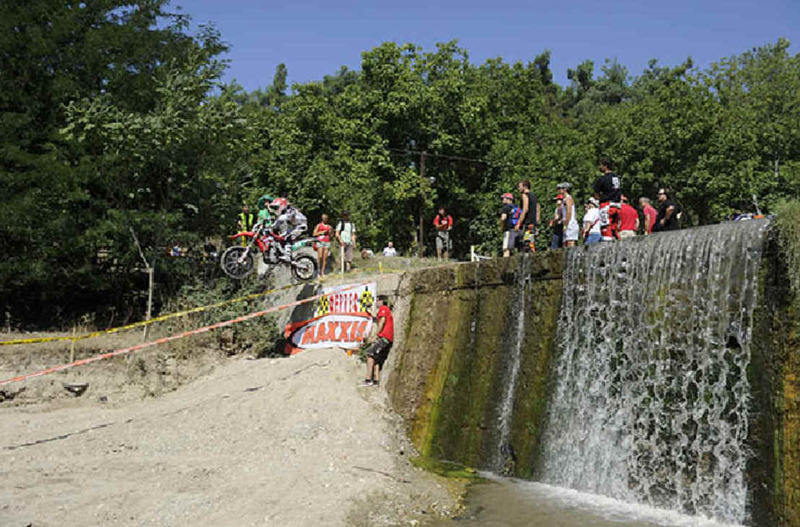 It was also the host city of the ISDE in 2008! At the opening round in Dahlen, Sokrates KIOSSES and Giorgio VOUDOURI (Enduro AMOTOE Manager), timekeepers for the EnduroGP Championship and members of LAMS, the Moto Club of Serres, agreed with ABC Communication to overcome the cancellation of the Corsican event. The stars of EnduroGP will therefore head to the north of Greece for the fourth round of the season before travelling on to Rovetta, in the mecca of the Enduro in Italy, for the 46th Valli Bergamasche. We can therefore count on all the experience and know-how of the entire LAMS team, supported by AMOTOE, to achieve a high quality event as they always do!